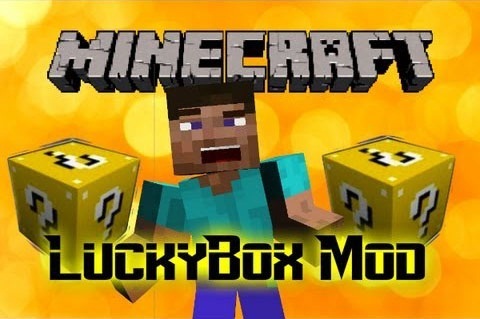 Lucky Block Mod adds just one block, yet over one hundred possibilities to Minecraft! Just mine the Lucky Block, cross your fingers, and hope it will drop the items you need. But now, with this new version, you can expect more than just items; The Lucky block can spawn animals, monsters, other entities and even structures! Gold. Think about it, there isn’t much use for it really. There’s no point wasting your gold on tools, swords and armor. How many clocks do you need when you can just look at the sun. 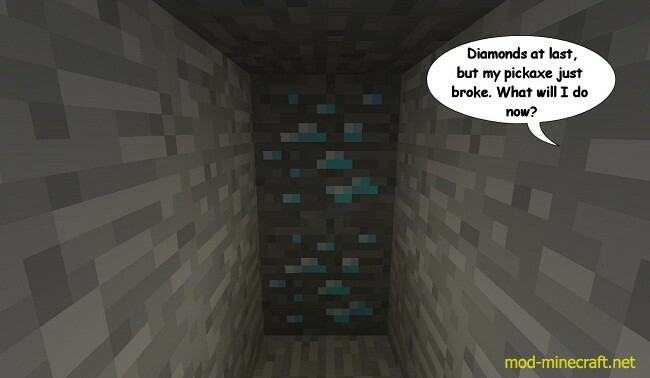 And if you need gold nuggets to make potions, all it takes is one gold ingot and you already have nine. Do you wish there were better things to do with your gold? Or maybe if you could exchange it for something else? Now there’s a block that makes gold worth mining. 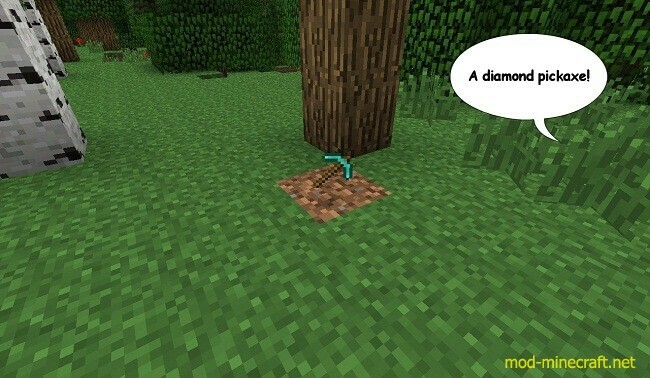 It’s called the Lucky Block, and can be crafted with 4 gold ingots and a dropper, and can also be found naturally in your world. 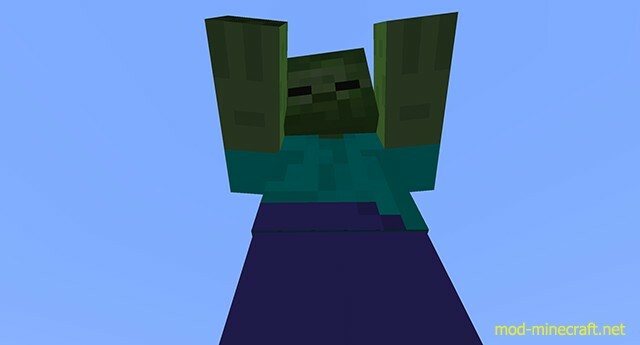 When you mine this block it will have an equal chance of dropping items, spawning entities or structures. 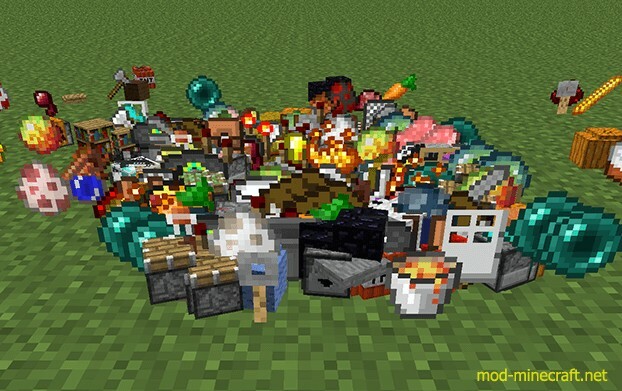 Lucky blocks can get different ‘luck levels’ if you put them in a crafting table with certain items. 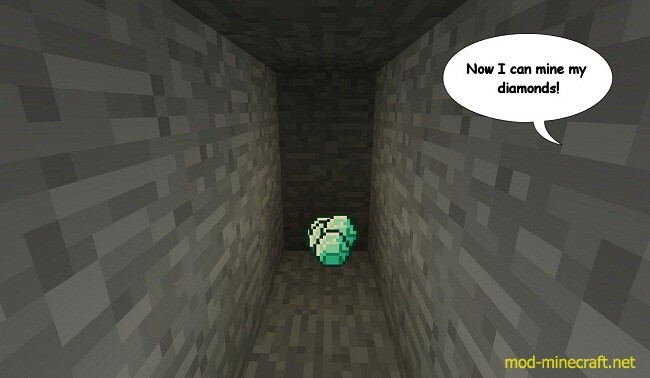 The higher the luck level, the more likely it is the lucky block will give you something good. Luck levels can also be negative, 0 to -100. Negative luck levels make lucky blocks unlucky. 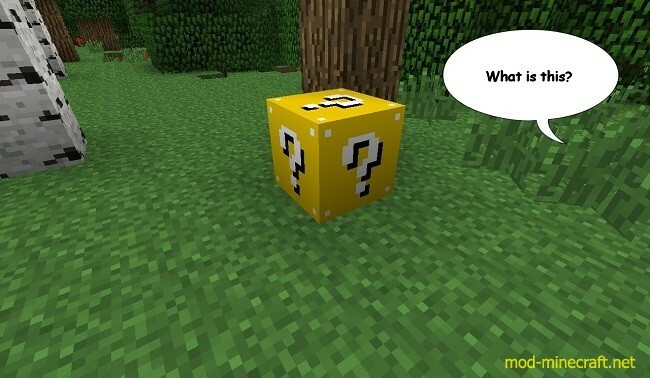 There are 3 Lucky Blocks in the creative inventory. One is normal, one has a luck level of 80 and one -80. Only Lucky Blocks with a luck level of 0 can be stacked. Lucky blocks can now also generate inside of custom structues. The current structures are a quartz ‘greek temple’ structure and a wreckage of stome bricks and netherrack. Lucky blocks in the temple will have a luck level between 50 and 100, but in the wreckage it’s -50 to -100! By default, there is a 50/50 chance a lucky block will spawn on its own or in a structure. 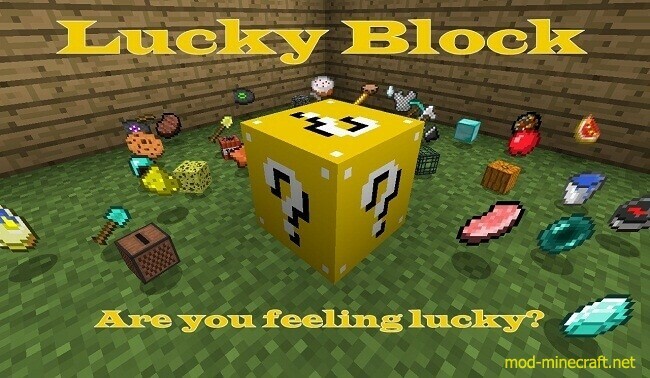 Lucky Blocks on their own have a luck level of -20 to 20. Spawnrate back to 1 in 200 per chunk. A temple with 8 Luckly Blocks (rare). 2 Lucky Blocks. One lucky. One not. Choose wisely. A bunch of different types of fish, with a fishing rod. A villager riding on top of a stack of pigs. A pointless silly message about grave danger and mushrooms. 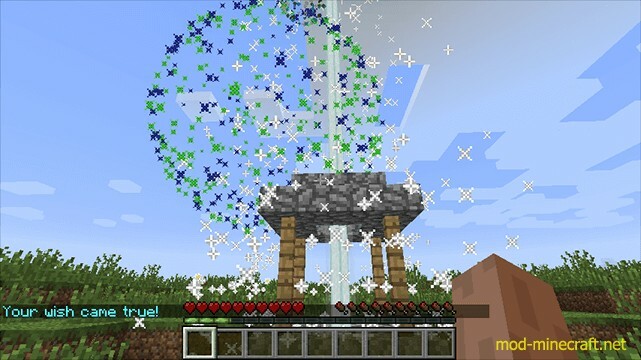 3 different wishing well structures. Throw in a coin, and see which with you get. 3 trading villagers. They will offer you all the lucky tools/armour/weapons at a reasonable price. Giant slime! Taller than the trees! 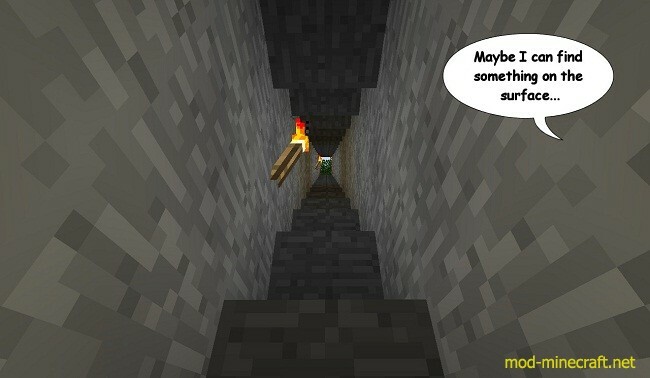 Sometimes even a Magma Cube! Lucky potion with random positive effects. Unlucky splash potion with random negative effects. Tamed wolves with different colour collars! Tamed cats, with different colour skin. A witch amongst a cloud of bats. A bunch of enchantment books. Some useless, random and hopefully humorous jokes.